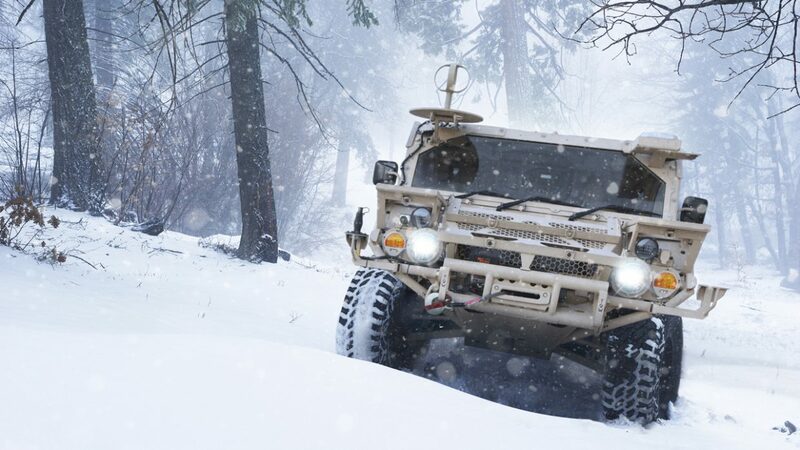 General Dynamics has unveiled its Flyer 72 Tactical Utility Vehicle (TUV), a design it is pitching as a way to help US special forces transport additional equipment in theater. 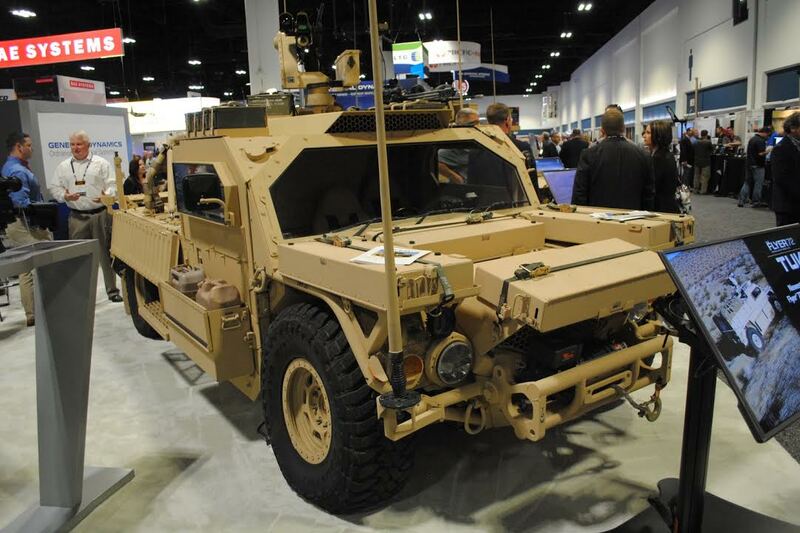 At SOFIC 2018, the company showed off its latest transport vehicle for the first time — a variant to the M1288 Ground Mobility Vehicle 1.1 currently being used by the SOF community. Laurie VanBrocklin, a senior director for communications and marketing services, said the new TUV was developed based on feedback from the field and calls for a way to transport additional equipment. 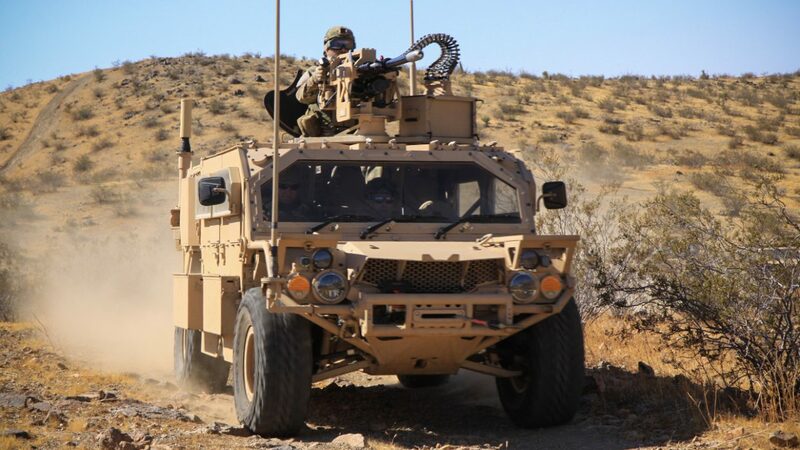 "What we've organically learned is [SOCOM forces] need a secondary support supplement vehicle to the GMV 1.1," VanBrocklin told Shephard 22 May. "Depending on what their mission profile is, they might be able to take a lot more gear." The TUV design has an open cargo deck and can operate in restrictive terrain. In its base configuration, it seats three, can transport up to 6000 pounds of cargo, reach top speeds of 95 mph and can drive up to 500 miles on flat ground. A remote or manned gun ring can be housed on top of the platform. Additionally, the TUV has a number of cargo configurations including an ambulance, shelter carrier, K-9 carrier, mortar weapon and munitions carrier, and 12-crew assault carrier kits. "So with the GMV1.1 being in the field and hearing things coming back from them, it's just a natural evolution to have this [TUV] vehicle," VanBrocklin said. "We're talking to the users, 'Tell us what it is that you need? What do you need the vehicles to actually be able to do?'" she added. "That's how we started with the 1.1. You tell us what capability you need and we'll build the vehicle for you to meet that capability." Hmm. Above is the newest view of the vehicle. Below is the past versions (I'm assuming without the add on armor, but can't make out details of what's going on in the rear).